This section of A Puritan’s Mind serves as an introductory overview to Historical Theology. The word “theology” is divided into two Greek words: theos (God) and logos (Word). Basically, theology is a “word about God.” The term “theology” was first used around the second century where Clement of Alexandria used the term to describe the corpus of the Christian Faith (the regula fide). Under the influence of writers such as Peter Abelard and Gilbert de la Porree, the Latin word theologia came to mean “the discipline of sacred learning.” Biblical material became systematized and the term was then used to describe the systematized discussion of Christian beliefs in general. The first major theological textbook of western theology was Peter Abelard’s Four Books of the Sentences, which was compiled at the university of Paris during the 12th century. However, the most widely used and influential theological textbook of systematized doctrine is John Calvin’s Institutes of the Christian Religion. Later, the Puritans then placed systematized doctrine alongside of pastoral theology. It was not that there was no pastoral theology before this, but rather, that the Puritans best systematized theology alongside of Christian doctrine to enact the most capable pastoral mindset on any given issue. The student of theology, though, should not stop at simply finding a balance between pastoral theology and systematic theology, or choose the best textbooks for those purposes. Rather, they should wrap those concepts up in a comprehensive historical context, known formally as church history. The study of church history allows insights into history in general, as well as how theology came about in particular. Church history is of vital importance to historical theology since it gives theology a context in which it was produced and defined. Systematic Theology attempts to create statement of faith with the leading doctrines of the Christian Bible. Historical Theology then embodies both of these concepts as a way of informing theologians as to what has been believed, and what corrections, improvements or adherence need to be made in the present based on that information. Historical Theology was first prominent during the Reformation and the need to go back to the original sources of the Bible (ad fontes means back to the sources). The systematician should remember, critically, that it is nearly impossible to “do theology” as if it has never been done before. Historical Theology, then, is used both as a pedagogic tool (for systematic theology) and as a critical tool (highlighting various important topics through history as key elements of the Christian faith). In this section of the site you will find one of the most important series that you can read as a Christian. It is an overview of Christian Doctrine through the centuries. 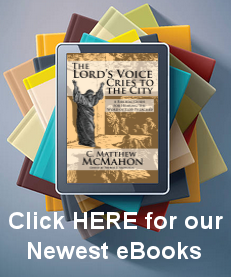 The following serves as a brief overview on the various key events through church history. It is not meant to be comprehensive and many events that one would like to add in have been left out. In taking an overviewed survey of historical theology through the centuries, the writer must have a planned approach to covering certain events. In this section of the website, I have decided to include the most important trends and debates through the history of the church, and their theological overviews. This is not meant to be an exegetical overview of biblical doctrine (that would be biblical theology or systematic theology). Rather, this serves to familiarize one with basic concepts through Christian History. Why is this critically important? Simply, if I asked you what you believe, and you gave me an answer on any theological point which you have learned from the Bible, I would then ask you, who else in church history believed that, and why? As much as that might seem like an exercise in a study of history, it is much more than that. If it is Christ’s voice that we need to listen to, then when we read the bible, and we study theology in the bible, we ought to come away with the truth. “My sheep hear my voice,” Christ said. Do we hear his voice? How do we know? Do we believe the same truths that the church has always believed, or have we come up with something new and novel? In this way Historical Theology is exceedingly important and ought to be division of learning that every true believer engages heartily to understand. Advanced Historical Theology – The Apostolic Church? Evangelical Postmodern Diversification – by C. Matthew McMahon, Ph.D.